A husband and wife who were out celebrating her birthday are now facing DUI charges. Cannon County Sheriff’s Deputy Jordan McGee was dispatched to John Bragg Hwy. on March 25 following a report of a reckless driver. The caller followed the vehicle to Hollis Creek Road and onto Sunny Slope Rd. Deputy McGee made contact with the vehicle and followed it for a mile, in the process observing that it swerved over to the opposite lane twice and almost ran into the ditch once. The driver made a wide right turn onto Claude Wilcher Rd., spinning the vehicle’s tires in the gravel and stopping on the right side of the road. Deputy McGee exited his patrol unit and the driver, Jeffrey Howard Bean, 293 Vance Lane, Woodbury, opened his door and started to get out. The deputy instructed Bean to remain in his vehicle but he got out anyway. At this time Sgt. Randy Neal arrived at the scene. While talking to Bean, Deputy McGee observed his speech to be slurred and his eyes were bloodshot. When asked if he had been drinking, Bean said it was his wife’s birthday and they had been out to eat and had had a few beers. Bean said he drank two 12 ounce beers. Bean was unstable on his feet, weaving back and forth, and almost fell. His wife, Verna Bean, stated she had also been drinking. Jeffrey Bean consented to perform field sobriety tests. He was unable to perform them satisfactorily in the judgment of Deputy McGee. Jeffrey Bean also said he had stopped at Gentlemen Jim’s and had a few drinks there. 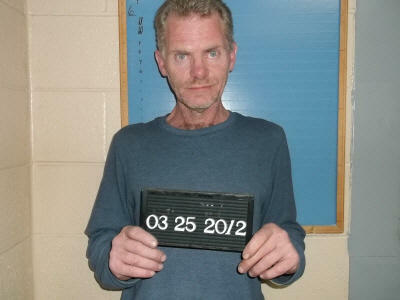 Jeffrey Bean was arrested for DUI 3rd Offense after a check of his license history revealed two prior DUI convictions. Verna Bean, as the registered owner of the vehicle, was charged with DUI By Consent. The vehicle was released to Pelham’s. In the back seat was an 18-pack Busch beer container with eight cans inside, five of them empty. Bond for both Beans was set at $3,000 each. They are both scheduled to appear in Cannon County General Sessions Court on May 1.